Elegant downlight, made with 316 AISI stainless steel. Latest generation LED and an optic studied to guarantee effective lighting. Flat profile. Available with beam angle of 55° or 55°. - Chrome Plated Brass Bezel & White Polymer Base - Stainless Steel Bezel & White Polymer Base - White PERKO●KOTE Brass & White Polymer Base Uses less than half the energy draw of standard lights! 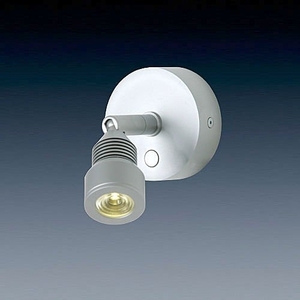 Down light gold plated aluminium, dimmable surface mount ø70mm cutout ø55mm, with internal 10-16VDC stabilizing driver, 2700K CCT, Ra>85. Boat spotlights are lighting units powered by the onboard electrical network (12 or 24 V) and are expected to be water-resistant (especially outside models). Boat spotlights are used to light all boat parts. Whether used for decoration, functionality or to create an atmosphere, they come in numerous shapes. - LEDs (light-emitting diodes) are very energy-efficient. Some models can change color at demand. Halogen is more powerful, but requires great amounts of energy. Incandescence (the method used in standard light-bulbs) is comparatively bright but quite fragile. Depending on the chosen location, decide if a built-in model is an interesting solution. A reading light above a bunk should be adjustable. If the spotlight is submitted to sea-spray or situated underwater, it must comply with waterproofness regulations (at least IPX7, and even IPX8 for subaquatic units). If the craft has minimum energy storage or if the lighting is to be merely decorative (e.g. color variations), choose LED spotlights. If lighting needs are important (e.g. engine-room lighting), prefer halogen models. Check the model's voltage (12 or 24 V).